Triumph is India’s third largest premium motorcycle brand by volume. The affordable range ends when one considers Triumph as the biking partner, resulting in a starting ex-showroom price tag of INR 7.70 lakh for the Street Twin and going all the way up to INR 17 lakh for the Tiger 1200 XCx. They have discontinued all the slow-selling machines from the global market, leaving buyers with the option of just Triple, Tiger and Bonneville series. 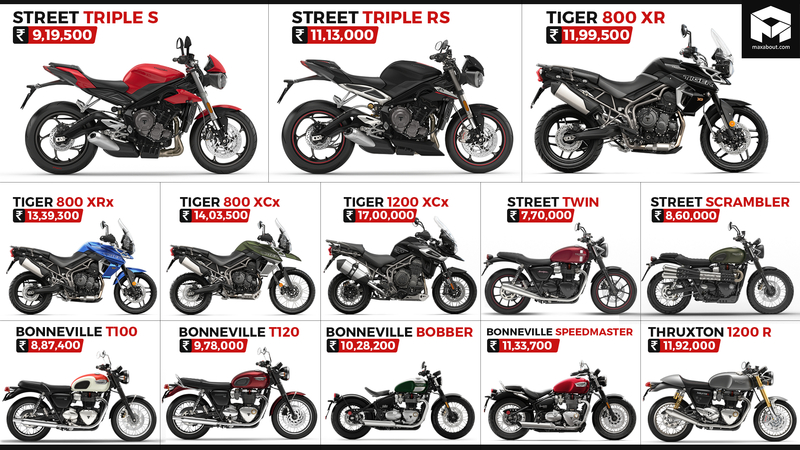 Out of these, India is waiting for the new Speed Triple, Speed Twin, Street Cup, Tiger Sport and Scrambler 1200. The prices mentioned are ex-showroom Delhi.